The Healthy Mutt is a great company based in Orange County in California. They provide all sorts of food and treat products for dogs with the emphasis on "natural ingredients of unquestionable origin". I have been working with the company on various projects for several years. Below are some of the projects I have helped create. We tried the dog with several facial expressions and slight adjustments to body pose before settling on the final version. See him below in black and white and with various expressions across his doggy chops. I've also created several versions of the mutt in different poses. The version below is the mutt looking lean and mean and carrying a doggy dumbbell. This mutt is used to promote the company across various printed or web based marketing media and is aimed at dog's who live a more active lifestyle. I'm sure there will be more Healthy Mutt designs in the future. 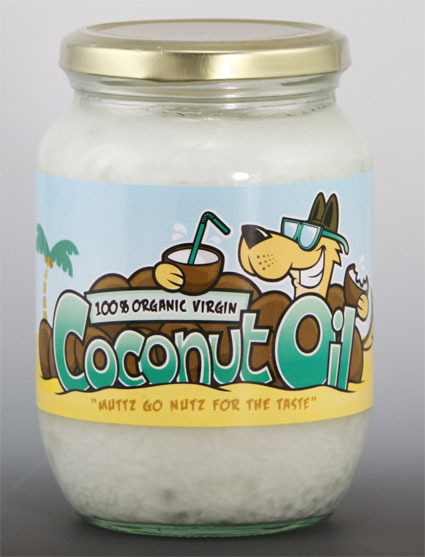 Check out the other Healthy Mutt blog posts by visiting 'Coconut Oil' label design and the initial Healthy Mutt logo design. If you get a chance then please visit their site and check out all the great, natural products they supply for your healthy pooch! And as always please feel free to let me know what you think. If you would like to chat about any of the illustration or design work you see above or would like to discuss any project you are planning then please get in touch on 01858 435689 or 07730 267367 or email nathan@antcreations.co.uk. I look forward to speaking with you!